Panache’s Valentine’s Day Village of Love returns to Los Angeles with its annual Planned Parenthood benefit concert. The event will take place on Thursday, February 14th at The Teragram Ballroom. It will include various talented artists including Kathleen Hanna (Bikini Kill / Le Tigre), Adam Horovitz (Beastie Boys), Bane’s World, Rodrigo Amarante, Lydia Night, Julie Byrne, Mikal Cronin, Dent May, Devendra Banhart (DJ), Shannon Lay, and more. Tickets for the event will range from $35 to $40 with some additional fees. All proceeds will go to Planned Parenthood of Los Angeles. Doors for the show will open at 7:00 PM, with performances beginning at 8:00 PM. This benefit show will be available to all ages. 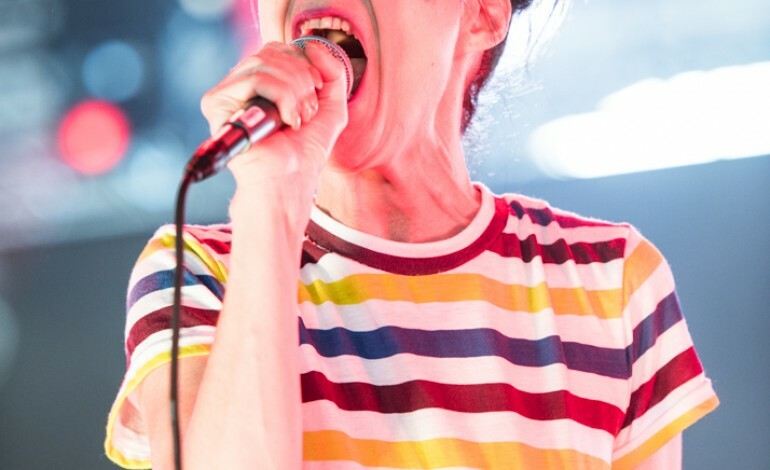 Kathleen Hanna is an American musician that began her career in 1990. She is a well known feminist activist that has implemented her beliefs in her artwork. In the mid 90s she was the lead singer feminist punk band Bikini Kill, before becoming the front woman of Le Tigre in the late 1990s and early 2000s. Hanna is also married to Adam Horovitz who is a member of the Beastie Boys rap group. In addition, the benefit show will feature a special DJ set from Venezuelan American singer Devendra Banhart. Banhart is primarily recognized for his beautiful folk rock tracks with his record entitled Mala being a favorite to many. There will be a ton of amazing artists at this event so make sure to free up your schedule for this event. Hit the link below to purchase your tickets for a fun night and good cause.